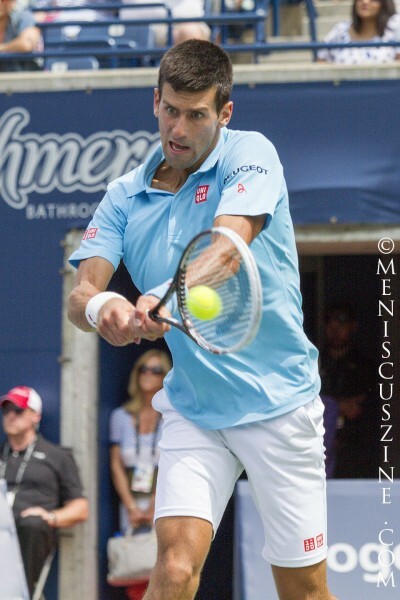 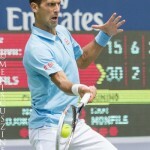 Novak Djokovic has had a bit of a post-Wimbledon letdown on the court, losing in the third round of the Rogers Cup to eventual champion Jo-Wilfried Tsonga and at the same stage in Cincinnati to Gilles Simon. 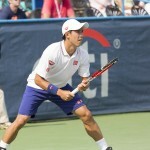 Japanese No. 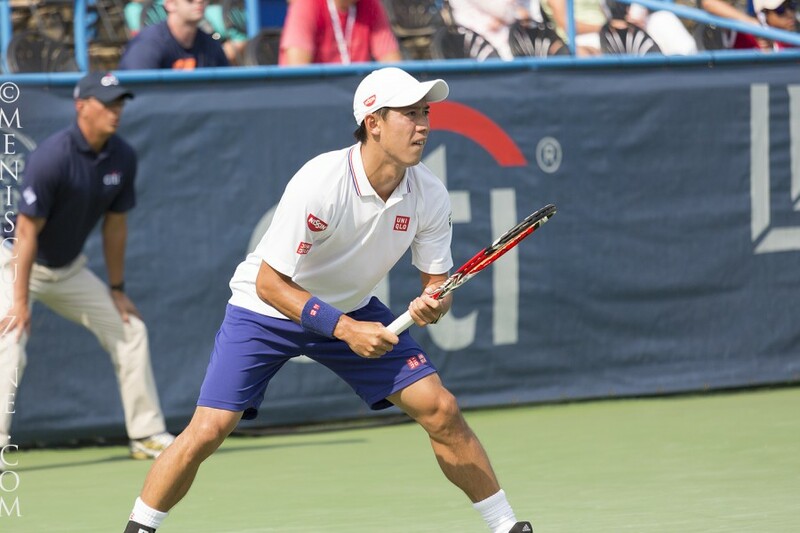 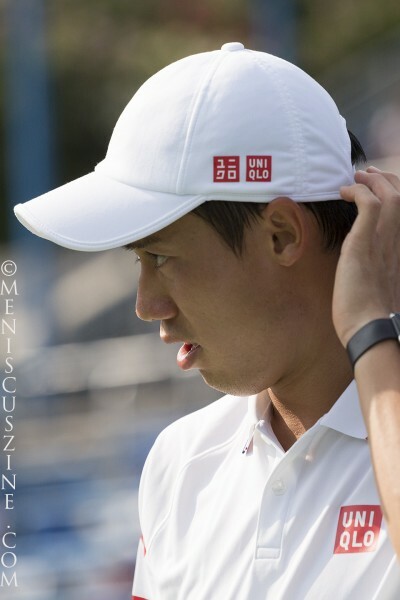 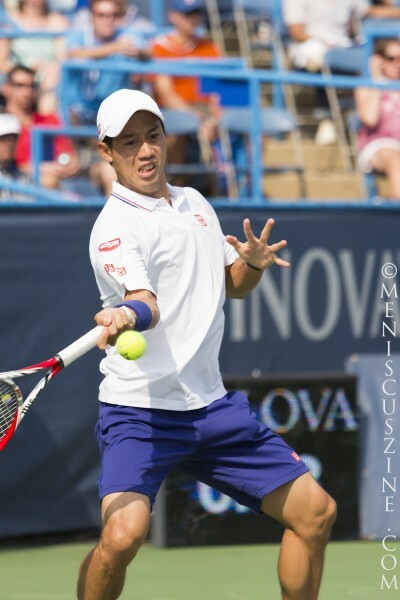 1 Kei Nishikori missed most of the North American hardcourt season when it was revealed at the Citi Open that an infected big toe in fact turned out to be a cyst requiring a surgical removal. 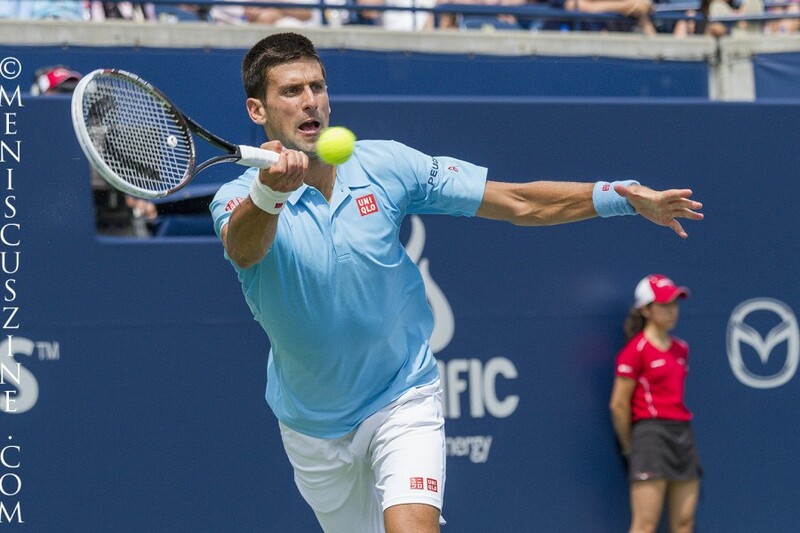 Curiously, the Serb’s “Performance Wear” on the U.S. version of the UNIQLO website includes replica DRY-EX apparel of his Grand Slam gear instead of the actual genuine articles, from the $59.90 track jackets all the way down to the $9.90 white socks and wristbands. 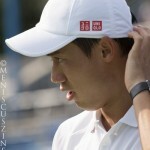 The site is already selling versions of the No. 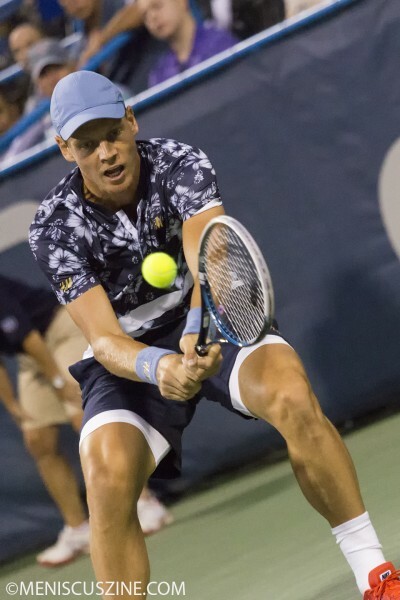 1-ranked player’s expected outfits for the U.S. Open; his expected short-sleeved polo shirts will alternate between red and navy blue, the shorts between navy blue and white. 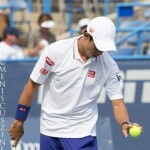 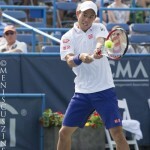 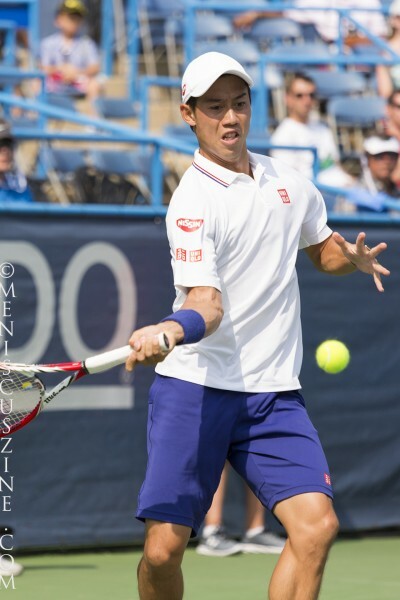 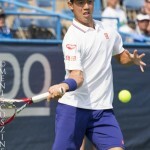 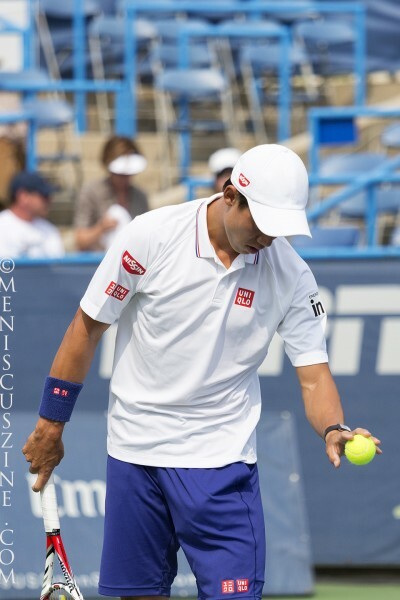 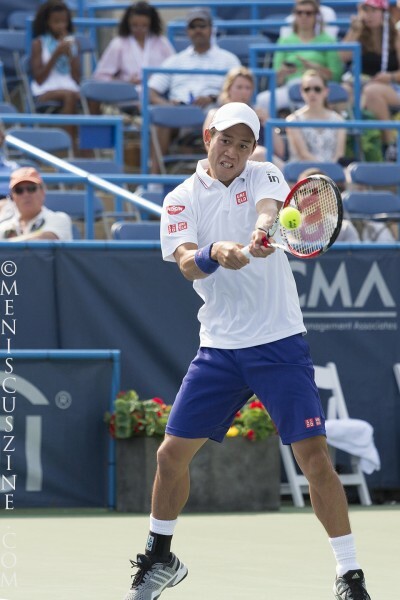 Nishikori, currently seeded 10th in New York, made his lone U.S. Open Series appearance in Washington, D.C. His styling was almost the opposite of Djokovic’s, with a white top and hat to go with dark blue shorts.